The next session (6 weeks) will begin on November 7th - December 16th, 2016. The concept of Green Growth emerged in the Asia-Pacific region to turn resource constraints and the climate crisis into an economic opportunity that generates a double dividend. The concept of Green Growth emerged in the Asia-Pacific region to turn resource constraints and the climate crisis into an economic opportunity that generates a double dividend (higher growth with lower environmental impact) by improving the efficiency of resource use and increasing investments in natural capital to drive economic growth. Realizing the promise of Green Growth will require a bold and ambitious transformation of the economic system. The "visible structure" of the economy, comprising such physical infrastructure as transport, building and energy systems, together with the "invisible structure", which encompasses market prices, governance, regulations and lifestyles, have to re-oriented to resource efficiency. 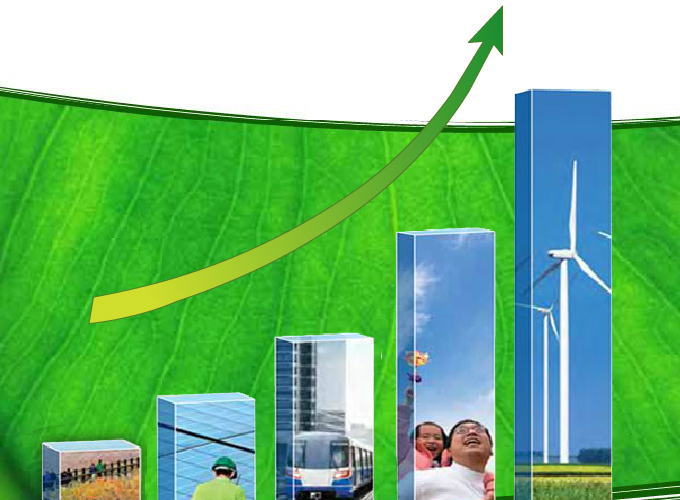 The objective of the "Low Carbon Green Growth Road-map" training course is to explain how to begin such a transformation. This course contains the following five tracks: 1. Improving the quality of growth and maximizing net growth 2. Changing the invisible structure of the economy: closing the gap between economic and ecological efficiencies 3. Changing the visible structure of the economy: planning and designing eco-efficient infrastructure 4. Turning green into a business opportunity 5. Formulating and implementing low-carbon development strategies Additional learning material includes: 1. Sixty-three fact sheets that provide detailed information and analysis of policy option 2. Fifty-one case studies that provide detailed information about successful practices that can be found in Asia-Pacific and elsewhere 3. Eight policy papers that provide in-depth analysis for specific sectors, such as fiscal reform, urban planning, transport, green buildings, water infrastructure and trade.